Eurovision Song Contest 2016 ended with Ukraine as the winner, but Russia actually won the televoting and Australia won the juries votes. 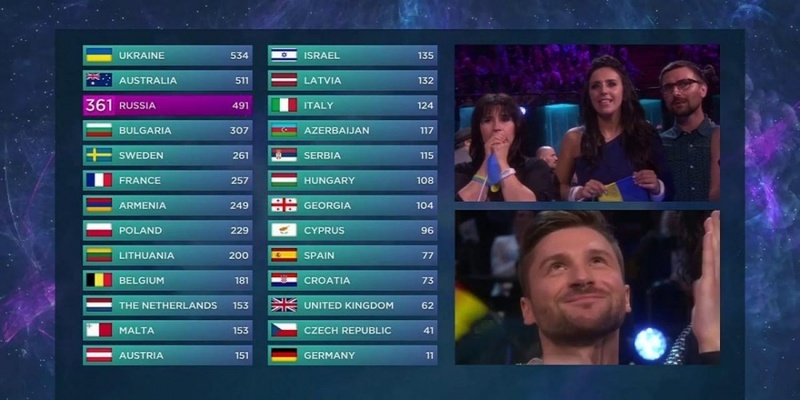 In this year's Eurovision Song Contest we had a new voting system introduced, where the juries and viewers votes are separately given. And here it made the distance between the national juries and the public viewers who vote very visible and clear. The juries are watching another show than the public televoters do, but is the difference of points between them because of two different performances, or is it because that the juries weights other things than the viewers? The viewers awarded Michał Szpak from Poland a third place, while the juries placed him 25th! And if the juries were to decide 100% of the result, Poland wouldn't even have qualified to the Grand Final. In Semi-final 2 Hovi Star was the 4th best according to the juries, but the 3rd worst if you asked the public voters. The juries judged Malta's Ira Losco to be in 4th position, but the public televoters were not so kind: 21st position if the televoters should decide 100%.